Rum is a molasses or sugar cane juice based spirit that can range in color from clear to amber to very dark. It can be made from pot stills, column stills, or a combination of both. In addition, rum can be unaged or aged several decades or more. What this all means is that rum is an incredibly versatile spirit that comes in a huge variety of colors, strengths, flavors, and cost points. No matter what your hard liquor tastes, there is probably a type of rum out there that's for you. Rum originated in the Caribbean in the early 1600s. The sugar plantations were in full swing at the time trying to keep up with the phenomenal demand in Europe for sugar. With all this sugar production came a lot of surplus molasses, which is a by product in the process of making sugar. Some enterprising person (possibly a slave on one of the plantation) found that if you add water to molasses and leave it out, it will ferment due to the local naturally occurring yeast. This molasses "beer" was then distilled to concentrate the alcohol and reduce the amount of impurities. At first, this distillate was quite harsh and was referred to as Kill Devil by the English. It was also called rumbullion, which was subsequently shortened to rum. The Spanish islands tended to make lighter rums while the English islands were more inclined towards dark rum. Perhaps the mother country's climates played a part in that? As has happened many times previously with a newly invented spirit, rum at first was used as a medicine to cure any number of ills. Soon it was being drunk for pure enjoyment (and gloom the day after). Rum was offered to naval vessels at a discount in order to keep the navy in the area to ward off pirates. This began a tradition of naval rum, and specifically the Royal Navy rum ration that by the 1700s was being distributed to sailors on a regular basis. Early on this ration was staggeringly strong, at least by today's standards. Each sailor was allotted half a pint of overproof rum (150 proof of so) per day. That works out to about 8 or 9 standard drinks a day. But a sailor's life in those days was incredibly hard, and any successful enticement that could be found to keep men on the ships was used by the Royal Navy. Eventually, this rum ration was reduced by adding water and later lime juice and sugar. Admiral Vernon was the first commander to cut the rum ration in 1740, and his men were quite animated in their distaste for the weaker beverage. They called it grog out of spite, supposedly naming it after the grogram coats that he wore. The Royal Navy rum ration was continually cut over the next two centuries eventually succumbing in 1970. Rum spread to Europe and the North American colonies on naval ships in the late 1600s. The British especially developed a taste for rum--so much so that it supplanted gin as the leading spirit in England in the 1700s. In the American colonies, rum was the number one spirit with most of it being distilled in New England from molasses imported from the Caribbean. 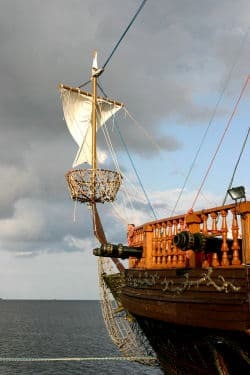 Two things led to the decline of rum from this high perch--disruption the supply of molasses from the Caribbean due to the American Revolution and succeeding conflicts, and the discovery of how to produce sugar from beets that could be grown in Europe. The former event caused the young United States to start turning more towards whiskey production instead of dealing with all the supply issues of molasses from the Caribbean. 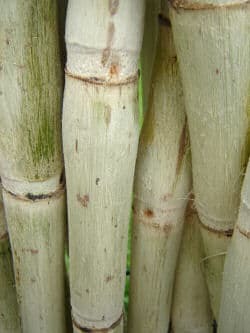 And sugar beets lessened the demand for Caribbean sugar, which also lessened the supply of molasses for making rum. By the late 1800s rum had slipped well behind whiskey in North America and was on its way to second tier status in Europe. In the Caribbean, rum was still hugely popular and it took the Wright brothers, in a way, to help rum get its mojo back in the rest of the world. In the second half of the 20th Century, with the ease of travel that regular air service provided, the Caribbean islands' tourist industry exploded. People from all corners of the world visited the islands and brought back rum and knowledge of rum-based drinks such as the Mojito. This combined with some very successful marketing by Bacardi and other rum producers has reestablished rum as a top tier spirit all over the world. In fact, in some places Bacardi white rum rivals vodka, the usual number one spirit. Though the ingredients for rum amount to only molasses or sugar cane juice, there exists a huge variety of the finished product. This is due to the varying distillation techniques used, the versatility of the distillate, and the many different places where rum is made that instill their own local character into the production process. The vast majority of rum starts from molasses. As a by-product of sugar production, molasses is relatively cheap and available. The molasses is fermented and then distilled in either continuous, column, or pot stills. The efficiency of the former two lend themselves to white rum production where you want to get most of the impurities out of the distillate. Pot stills are used for aged rum where the congener by-products of distillation are allowed to mellow in oak casks. Some rums are a blend of both methods somewhat like Armagnac. 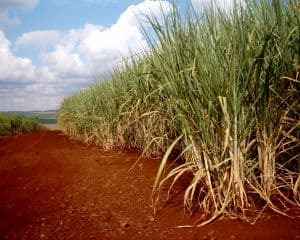 On the French islands in the Caribbean such as Martinique and Haiti you will find rum made from sugar cane juice using the agricole method. After distillation, white rums are usually charcoal filtered and then bottled. In a few instances, the rum will be aged in oak for a few months to a few years to smooth it out. This is then filtered to remove the color and bottled. If the rum is to be aged, it is stored in oak casks from a few years to several decades. White rum Clear, light rums are produced in all significant rum producing regions in the world. They range from harsh, fiery spirits to pleasant, aged white rums that are filtered to remove the color. White rums such as Havana Club and Flor de Cana use this method to produce three year and four year old white rums (respectively). These rums are quite smooth and have a more significant body than an unaged white rum. White rum has a relatively neutral flavor profile and is extremely mixable. It takes to almost any mixer it is combined with, especially fruit juices. Gold rum Gold rum is the slightly darker companion usually sitting right next to its clear cousin on the liquor store shelf. Contrary to its appearance, it is often not aged but receives its color from additives--usually caramel (burnt sugar). Sometimes gold rums (also called amber rums) have received a few years of aging. And example of this would be Cruzan Dark rum which sits on oak for 2 years. For categorization purposes on this website, I classify gold rums as either short-aged (about 2 years or less) rums or unaged rums with added color. Aged rum This is where rum gets very interesting. Aged rums are produced in most rum regions have a large variety of flavor profiles, aromas, colors, and strengths. They range from relatively young four year old light amber spirits to 20 and 30 year old masterpieces overflowing with highly complex flavors. Aged rum can be bottled straight from a single oak barrel (called single barrel rum) or blended first before bottling (this is more prevalent). Blending ensures a consistent flavor and aroma over the years and helps marry the different flavors of rum that have been stored in different parts of the aging warehouse. Some rum even uses the Solera system where younger rums are continuously mixed with an older "mother rum". For categorization purposes on this website, aged rum is rum aged in wooden barrels for more than 2 years. Dark rum You basically have two different rums in this category: cheaper dark rums made dark mostly with the addition of coloring and aged rums that draw their dark color from many years of sitting on oak with the possible addition of supplemental coloring. The former type of dark rum is usually sitting next to the popular white and gold rums on the shelf. It is usually heavily colored with caramel color, and sometimes doesn't have the body to back up the dark color. The latter type of dark rum usually has the body and complexity to match its deep brown hues. It is usually aged for a short time and then darkened with supplemental coloring. These rums can be quite good, but seldom match old aged rums in complexity. Examples include Myer's, Goslings, and Coruba. Spiced rum Rum with added spice flavor and possibly color is known as spiced rum, and became very popular with the emergence of Captain Morgan. There is sometimes some sweetness evident along with the spice. Flavored rum Flavored rums have multiplied almost as much as flavored vodkas. They are usually lower proof white rums with flavoring and added sweetness. Bacardi and Cruzan have full complements of flavored rums with flavors such as vanilla, coconut, pineapple, mango, banana, and orange. Demerara rum Along the Demerara river in Guyana, Central America, Demerara rums are made in a variety of styles. You will find white, gold, dark, and spiced rums, but the really interesting ones are the aged Demerara rums that are as old as 25 to 30 years. These rums are known for their pungent aromas, earthy sweetness, and just downright meatiness. There is also a 151 proof Demerara rum that has character and flavor that bely its high proof. Agricole rum The French West Indies are home to agricole rums made from sugar cane juice and not the cheaper molasses that is much more common in rum production. Agricole rums are distilled in column stills and are aged on oak for varying lengths of time. The finished products range from fresh, clean white agricole rums to darker, aged rums that rival French brandies in complexity. Cachaca The national distilled alcohol of Brazil, cachaca is a sugar cane juice based unaged spirit. It is made in vast quantities in Brazil and can seem somewhat fiery and unrefined especially to non-native drinkers. Cachaca is the main ingredient in the national drink of Brazil, the Caipirinha. Overproof rum Overproof rums are higher in alcohol content and are greater than 100 proof, ranging as high as 160 proof or more. In the United States, the most common overproof rum is 151 proof while Wray and Nephew overproof rum at about 126 proof is very popular in Jamaica. Rum at this strength is dominated by the alcohol and usually the inherent flavors are subsumed beneath the dry fire of the alcohol. Navy rum The Royal Navy rum ration for its sailors helped put rum on the map and make it popular throughout the world. The style of rum drunk by these sailors is today known as navy rum. It is a complex aged rum that is often bottled at 90 proof or stronger. The best example today is Pusser's Navy Rum which is produced using the original British Admiralty wooden stills. Where do we start - rum is such a flexible spirit with so many different flavor profiles, price points, and countries where it's made. Maybe a good way to do this is to work our way from lighter rums to the fuller expressions of this great spirit. White rums are almost always mixed with something, but there are a few that are worth tasting by themselves. The white agricole rums can be great sippers. They are fresh, sometimes have mineral notes, and have a pleasant cane flavor that can stay in the background or come out and wallop your nose and palate. Add a bit of dark cane syrup, lime juice, ice, and stir and you'll have a Ti Punch. If you do mix with juice, try to squeeze it yourself or at the very least use high quality orange juice, pineapple juice, etc. Always squeeze your own limes and lemons--there is no substitute. If you are using a higher quality white rum such as Ron Matusalem, try increasing the ratio of rum to mixer, or try drinks that don't mask the rum with mixers such as a real Daiquiri. Gold rums can usually be used in place of white rum in most drinks. Though gold rum is darker, a lot of that color is coming from coloring and not oak aging. If you want a bit more body in your favorite white rum drink, switch to gold and see how it is. If you are going to mix aged rums, they do best in drinks that show off the rum, such as Mai Tais and Grog. These drinks have a high quality aged rum as their base with supporting ingredients that are well balanced. The amount of mixers is held in check so the rum can shine. For sipping aged rum, just get yourself a clean glass and enjoy. There is a cornucopia of flavors and experiences in aged rum. You have earthy smokiness in Demerara aged rums, a cognac/brandy profile in Barbancourt 15, spicy complexity in Pusser's, buttery richness in Flor de Cana 12, and a robust pot still Appleton Extra. Flavored and spiced rums generally are lower quality spirits and thus should be mixed or at least drunk on the rocks perhaps with a squeeze of lime.